April 14, 2012 Adri H.
After 150+ posts, I realized I haven't ever done a real giveaway! So, having purchased an excess of books in the recent months, I decided to share a few with you. 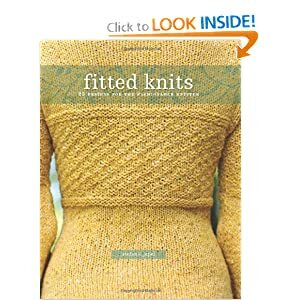 This week, I will give away fitted knits by Stefanie Japel. Click on the image to see the book on Amazon.com. 2 - leave a comment answering the following question: What is your favorite thing to knit?